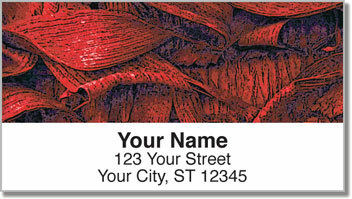 Give your mail an artistic look when you use these attractive address labels featuring the unique texture of dried palm leaves. Four different illustrations in four eye-catching colors show how the leaves curl and twist in the heat of the tropical sun. 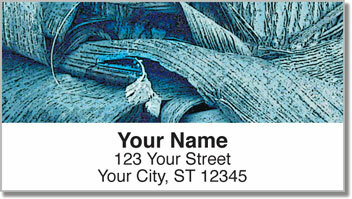 You'll make your mark with Palm Leaves Address Labels from CheckAdvantage as every envelope you stick in the mailbox will stand out! Plus, you'll be pleasantly surprised at the amount of time you save when preparing letters and packages. Forget about writing out your name and address by hand. These convenient labels have a self-adhesive backing that makes everything fast and easy! 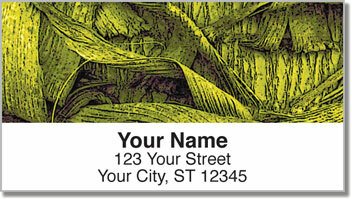 Get Palm Leaves Address Labels for yourself today! 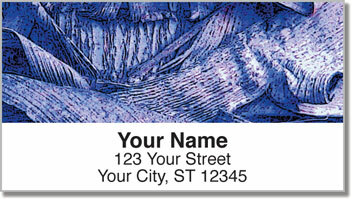 Complete your order when you add a set of matching personal checks!